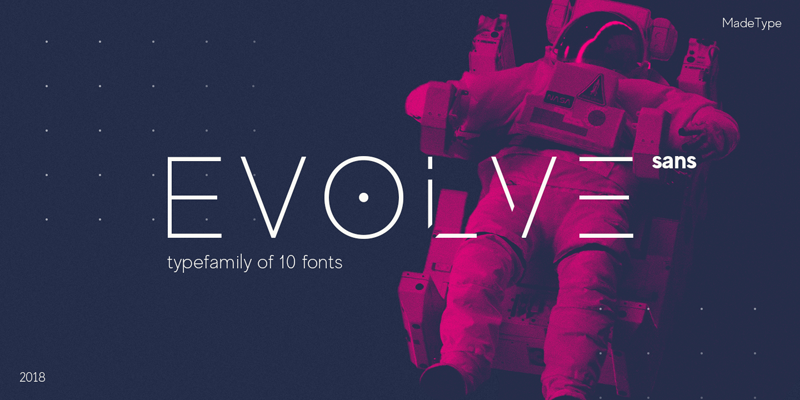 MADE Evolve is modern futuristic sans serif fontfamily. This combination of futuristic and geometric to create a modern design. Evolve is includes 10 fonts, 5 sans serif weights and 5 weights with futuristic caps, thereby creating more variability. This is irreproachable sans serif to diversify your headlines, branding visual identity, poster, logo, magazines and etc.